Social media, through the Internet and other web-based technologies, have become a means of communication and knowledge-sharing. In this article, we provide details about the social media traffic of various scientific activities, the organizations of which we have played an active role in. We also provide information in our native language through our FOAMed website, which has been published for about 30 months, with us acting as editors. 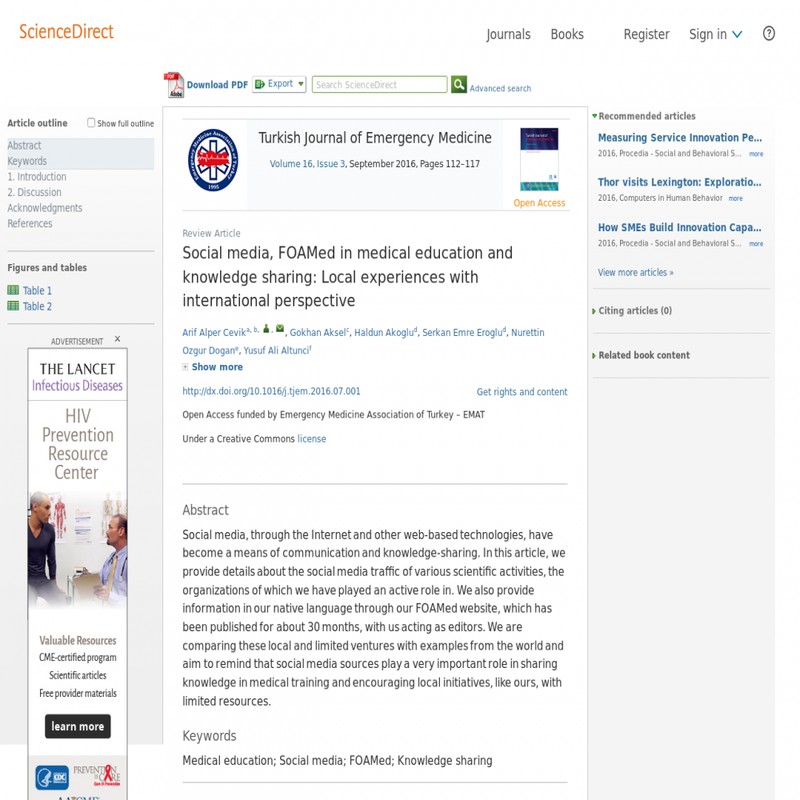 We are comparing these local and limited ventures with examples from the world and aim to remind that social media sources play a very important role in sharing knowledge in medical training and encouraging local initiatives, like ours, with limited resources.